I’ve heard that this week is officially the first week of summer. When you live in Florida, hearing everyone talk about that just makes you laugh. We’ve had endless rain mixed in with 90 degree weather and even our first named tropical storm come through our state. I’ve got news for you folks … summer didn’t just get here this week. It’s been here for two months! In honor of this official summer business, this week’s Sunday Funnys is my son Jake’s Top 10 Reasons to Love Summer. 9. Spending all day in summer camp instead of school. 8. Water play days – every Friday they have water play day at summer camp where they get to wear their bathing suits and play in the water with hoses, water balloons, slides and anything else they can get wet. 6. Baseball season is in full swing. We live close enough to Tampa for Jake to go see the Tampa Bay Rays and all the teams who come to town to play them. 3. 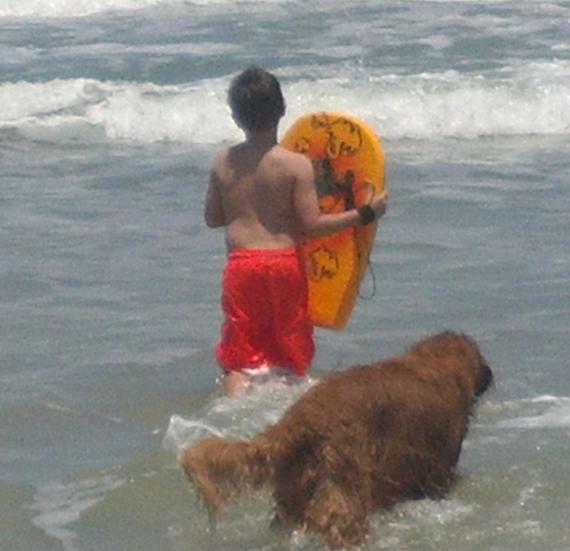 He gets to go to the pool (until it rains) and we spend more time at the beach than any other time of year. 2. Summer camp has the coolest field trips (another direct quote). So, I am sensing that Jake is happy to be out of school. Is that accurate? I’m with Jake! No school is my favorite thing about summer! Pool time is my second favorite! 🙂 And I have nothing to do with school, but I love not having to get my son up. And in turn, unless I have a morning meeting, I don’t have to get up! Yeah the pace of tbe summer seems to slow things down. No School….Amen! That’s just sounds good no matter how old you get. I admit it,, I’m enjoying the break from that schedule too.